Many had hoped that Conor McGregor would be fighting at UFC 219 at the end of the month. “The Notorious”, it seemed, would be doing what he has never done before: defending a title. With that card now confirmed and McGregor no closer to announcing a return to the promotion which made him a superstar, fans are instead learning that the Dublin native may have crossed the wrong people (which you can read in Parts 1 & 2). So what exactly is happening? Has the UFC’s relationship with their biggest star gone sour? Or is McGregor simply refusing to bend in his demands for a bigger piece of the pie? “The Notorious” has never shied away from asserting that he wants more than just fight purses and pay-per-view points from the promotion, arguing that he deserves a stake in the company which was acquired for a sum of $4.4 billion in 2016. “From what I hear, if he’s on the card, he doesn’t want any pay-per-view grossing fighters on the card with him,” Woodley told MMAjunkie. “Because he doesn’t want to feed us anymore, which I can respect. The dude is the draw. You can hate all you want, but he’s the draw. He’s that dude right now. The UFC may look differently. While McGregor could arguably still crack the top 5 PPV’s in the company’s history by fighting on a “Fight Night” which is not as stacked as, for example, the UFC 205 card where he became a two-weight champ, this may be a gamble for the promotion. With the current tension surrounding him in Ireland over the alleged assault of a Kinahan gang member’ father, it can also be argued that the Dubliner is demonstrating that he is happy in his homeland and will need to be, as he put it, ‘enticed’ into fighting. When updating fans on the failed contract negotiations for the mooted UFC 219 bout with interim champion Tony Ferguson, the 29-year-old claimed that he was finding it ‘hard to get excited’ by a bout which he feels would earn him nothing more than a small fraction of the payday he landed against Floyd Mayweather Jr. in August. “I don’t think it’s true [the rumors of assaulting an associate of the Kinahan cartel]. If it was true it’d be big. Conor can walk down the streets and it is big news. If this was true, I’d just have to believe it would be off-the-charts crazy. If it is true, we’ll end up finding out. I can’t chase all these things around. If it’s true, we’ll get it figured out and we’ll go from there. 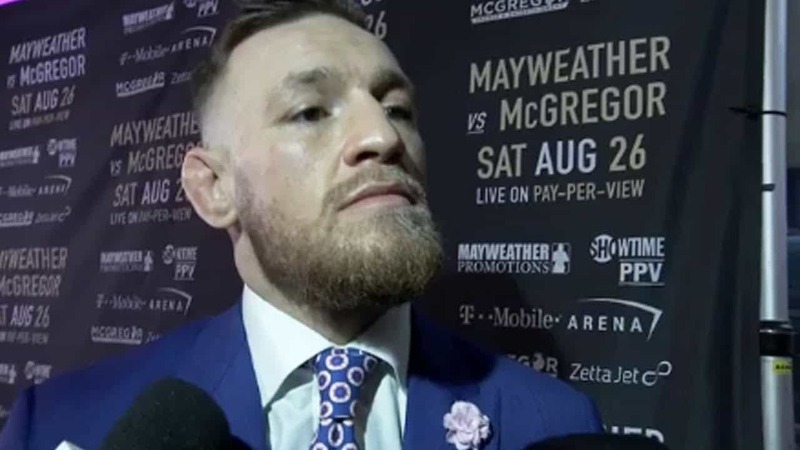 So what is happening with Conor McGregor? It is anyone’s guess at this point.